What are Phase 1 Clinical Trials and When are They Done? Phase 1 clinical trials are the first trials done on people to test a drug. The major goal of these trials is to determine if a drug or procedure is safe. Prior to phase 1 clinical trials, a drug may have been studied extensively on cancer cells in the lab and/or in laboratory animals. 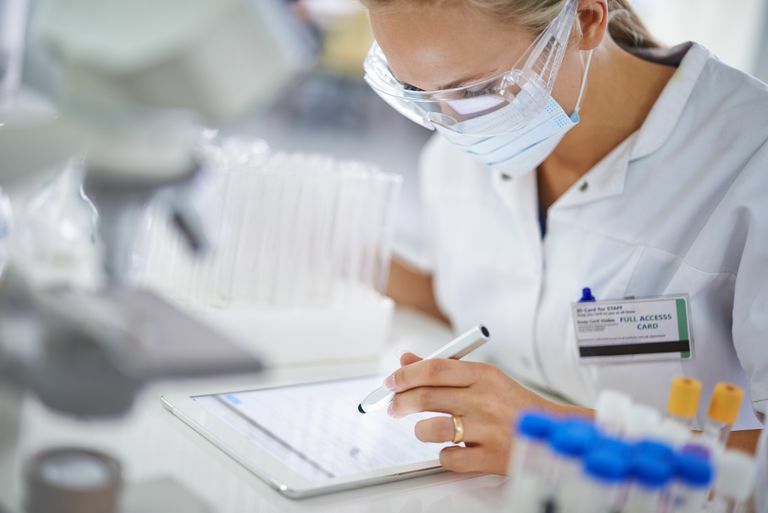 The role of phase 1 clinical trials in cancer, however, has changed tremendously in recent years, with much of the reason for this being the human genome project. Whereas in the past these trials were often a "last ditch" effort, with only a small chance that a person would benefit, phase 1 research studies may instead be an excellent (and the only) option to extend life. In addition, since many drugs being tested in these trials have been carefully devised to interfere with specific targets in the progression and spread of cancer, they tend to be less "risky" than in the past. At the current time, there are many people surviving cancer due to the existence of these trials. Keep in mind that the purpose of clinical trials is to find therapies that either work better or have fewer side effects than medications we currently have available. All medications used to treat cancer were once tested as part of a clinical trial. And during that time, the only people who were able to reap the benefits of these treatments were those who were in the clinical trial study group. Phase 1 clinical trials are done to see if an experimental drug or treatment is safe. After a treatment is tested in the lab or on animals, it enters a phase 1 clinical trial that is done with humans. These trials usually involve only a small number of people to determine if a drug or treatment is safe and to determine the best dose of a drug and how it should be given (whether orally or intravenously). Though the primary purpose of these trials is to evaluate safety, they may also determine if a treatment appears to work for a cancer. There are three phases of clinical trials that must be completed before a drug is FDA approved. If a treatment appears safe at the end of a phase 1 clinical trial, it may then enter a phase 2 clinical trial, a study done to see if a treatment is effective. If a drug or treatment is deemed safe in a phase 1 trial and effective in a phase 2 trial, it will then enter a phase 3 clinical trial. Phase 3 clinical trials are much larger and are done to see if a treatment is not only safe and effective but works better or has fewer side effects than treatments currently available. Phase 1 trials, and what you may expect if you are enrolled in one, have changed significantly in just the last few years. Many of the new drugs being tested in phase 1 clinical trials in 2018 have been carefully designed to act on a precise pathway in the growth of a cancer. Not only are drugs such as these often less likely to have major side effects than traditional chemotherapy drugs (though they can), but based on design there is a more reasonable chance that they will make a difference for your cancer. After all, if you can inhibit a specific step that a cancer must go through to divide (and thus grow and spread), there is a reasonable chance that a cancer that has been shown to be dependent on that step will respond. In such cases it could be that the only options for treating the cancer would be conventional chemotherapy drugs. Drugs such as targeted drugs are often more likely to hold a cancer in check for some time, and immunotherapy drugs, for a small percent of people at least, may result in a durable response (long-term response). With the advances in precision medicine, it's likely that phase 1 clinical trials will continue to offer more promise for individuals rather than simply be trials performed to see if a drug is safe. An example of a phase 1 clinical trial is that of the targeted therapy larotrectinib, that was granted accelerated approval by the FDA in 2018. This medication works by inhibiting a step in the growth of cancers that have a particular genetic profile, rather than on any one specific cancer (people with over 17 types of cancer were studied, including both adults and children). In the phase 1 clinical trials leading up to approval, the drug was given to people with advanced cancers who either had no further options available (no alternatives) or had progressed with those options. Of those people studied, 75 percent of people responded to the drug, and many continued to respond when the study period ended after more than 9 months. In comparison, if people were treated with chemotherapy (if that was even an option), the majority would have seen their cancer progress within 6 months. There were even a few people with metastatic or inoperative cancer who had tumor progression significant enough that curative surgery could then be performed. There are a few reasons someone may consider participating in a phase 1 clinical trial. One is the hope of advancing research that may help others with the same disease in the future. Another is the hope that a new drug or procedure that has not yet been tested on humans will offer a chance of survival when other treatments have failed. The only way that advances in cancer treatment, and subsequent survival, are made, is via patient participation in clinical trials. That said, clinical trials are not for everyone. It's important to consider all of the risks and benefits of clinical trials if you are considering one of these studies. It's often helpful to write down both the pros and cons of the study on a sheet of paper so you can visibly weigh your options. There is not a right or wrong choice, only the choice that is best for you. For the most part, the only way that you can use an experimental (investigational) drug is to take part in a clinical trial. That's not always the case, and some people may qualify for compassionate use or expanded access to drugs not yet approved by the FDA. If you do not qualify for a clinical trial but an investigational drug appears promising for your particular cancer, take a moment to learn about compassionate drug use. Phase 1 clinical trials are the first medical studies in which a drug or procedure is tested in humans. While traditionally this has been anxiety provoking and has led to jokes about being a guinea pig, these first studies can be looked at in different ways. From one side they may be more risky. After all, the primary purpose of these trials is to determine if a drug is safe for people (and also to get an idea about the best dose to use). Yet, from a different angle, a phase 1 clinical trial may have more to offer. Many stage 3 clinical trials compare drugs that have already been looked at. The hope may be that a drug will improve survival if only for a few months. With a phase 1 clinical trial, however, a new drug (and possibly a new category of drugs) is being looked at which may or may not help, but may help more than anything else currently available. Examples of this have been frequent in recent years. Since anxiety remains about being involved in clinical trials, take a moment to learn about the myths about clinical trials and what is fact and fiction. US Food and Drug Administration. The FDA's Drug Review Process: Ensuring Drugs are Safe and Effective.